Roberto Firmino scored twice as Liverpool returned to fourth in the Premier League with a 5-0 win over Swansea City. Philippe Coutinho, captain for the day, led the way with a magnificent strike into the top corner after six minutes. Seven minutes into the second period, Firmino volleyed in Coutinho’s free-kick at the far post. 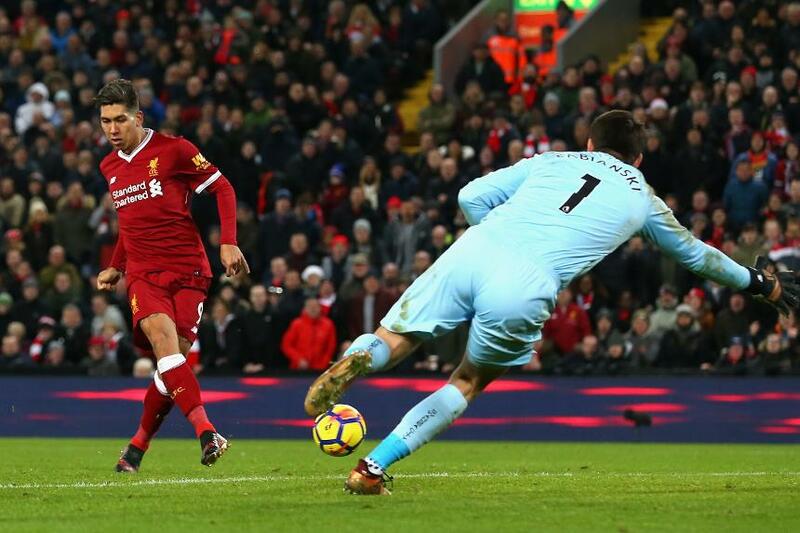 The Reds then scored twice in a minute, Trent Alexander-Arnold rifling in his first goal for the club on 65 minutes before Firmino struck again. Alex Oxlade-Chamberlain added his first home goal in Liverpool colours on 82 minutes. Jurgen Klopp's side move back a point above Spurs, while Swansea stay bottom on 13 points, five off safety.